What is FISH of East Denver? A good neighbor volunteer movement that brings together those who are in need with those who are ready to give help. We deliver food to homebound people in need in East Denver. Several other walk-in food pantries provide help to people in need in the Denver area. East Denver FISH is one of the only food pantries that delivers emergency groceries to people without transportation or who are homebound. In 2018, FISH delivered groceries to 738 households, totaling 2,200 people. Of these, 1,027 were children and 212 were seniors. A gentleman with a broken foot, out of work and currently residing in an East Colfax motel who greeted our FISH volunteer slowly, having to take his time maneuvering on crutches. This same gentleman gifted our driver with a kiss on the hand and his heartfelt thanks for the much needed food. Another client, confined to a hospital bed in her living room, greeted our driver with a cheerful, "Come in! I'm so glad you're here and I'm so happy that you're on my team!" We routinely find homes empty of food, and clients with children who are hungry. Drivers regularly hear "God bless you" as they make deliveries to grateful clients. Our goal is to provide enough food for 2-3 days’ worth of meals depending on family size and available pantry supplies. Priorities include nutritious and kid-friendly food and items for balanced meals. We also try to give personal items such as toilet paper, soap, deodorant, toothbrushes and toothpaste, shampoo, diapers, etc. when available and on request. In addition, our volunteers provide information about other organizations that supply help. FISH of East Denver is an entirely volunteer organization. Over 40 volunteers make it work, donating their time, effort and energy. Our volunteers range in age from 16 to 93. They can be found doing any of the following: purchasing and/or picking up food, stocking shelves, taking calls from clients, bagging groceries, delivering groceries, educating the public about our organization, and checking with area grocery stores and bakeries for available donations. 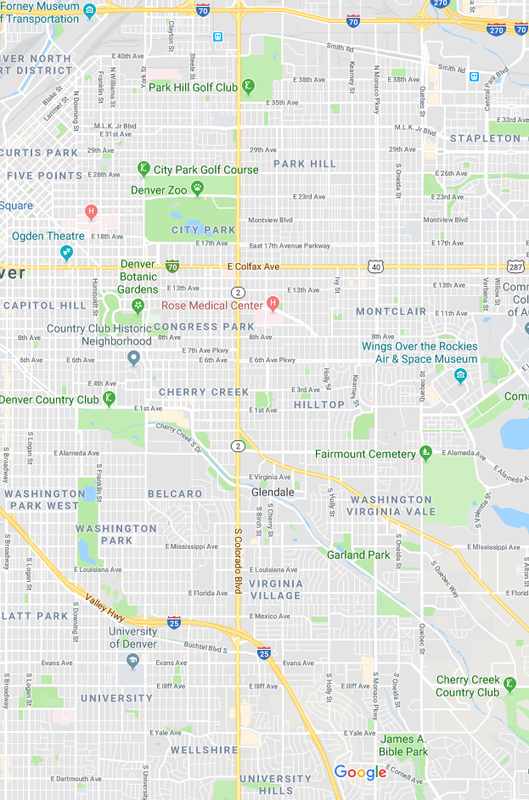 We deliver within the east Denver boundaries of Broadway (west), I-70 (north), Hampden (south), and Yosemite (east).